A lot of people have some strong opinions when it comes to the best time to go to Bali. Most people will tell you that you should always plan your trip to avoid the wet season. I’m not one of those people though! I think that Bali can be enjoyed 365 days a year. Whether you go in the wet season or the dry season, Bali is one of the most amazing, tropical destinations on Earth. Here’s the best time to go to Bali, based on season! 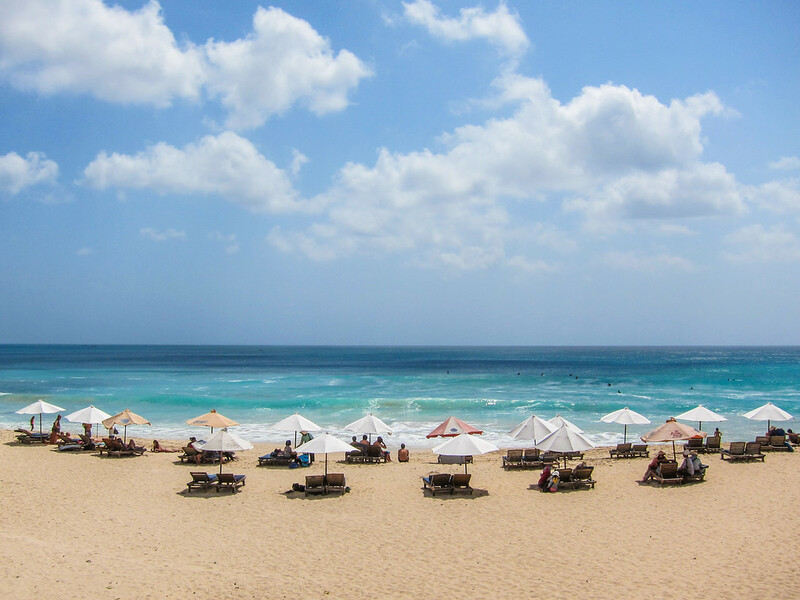 Located barely 500 miles south of the equator, Bali has a distinctly tropical climate. Regardless of the month, you visit or where you stay on the island, you are likely to find yourself sitting in weather between 80 and 85 degrees and humidity. While it can get a bit cooler, you will rarely need anything more than a light jacket. While we usually talk about seasons in terms on summer, winter, fall, and spring, the Balinese look at things differently. They only have two times of year: the wet season and the dry season. Both have their pros and cons when it comes to traveling in Bali. The wet season is, of course, wet! 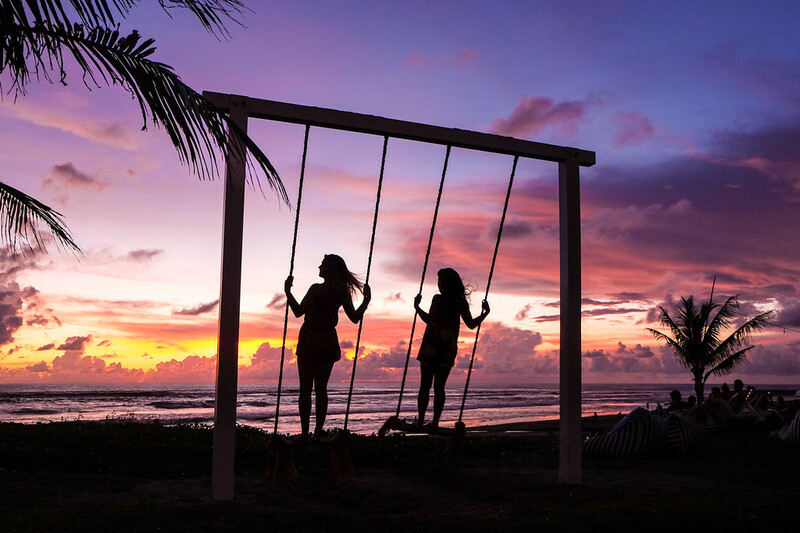 The regular rain is what puts people off from traveling to Bali during the late winter and spring, but it doesn’t have to be a deal breaker. It is warm year-round, so you can enjoy hours in the sun and long afternoons at the beaches. The wet season is honestly my favorite time to go to Bali! The rain often moves through with incredible speed. One quick downpour and the clouds can go away for the day. And the rain isn’t all that bad! If you have been in other parts of Asia that experience monsoons—think India and its intense soaks—it is comparatively mild. Tranquility is the number one reason to come to Bali during the rainy season. You can forget about noisy restaurants and overcrowded beaches. You will have plenty of room to stretch your legs and explore. The beaches are quieter. The streets are less congested. Peace is yours for the taking! One of the biggest events of the winter is Nyepi, the Balinese equivalent to New Year’s Eve. Though it’s a festive celebration, it is also a time of introspection. A day of silence is celebrated and filled with fasting and meditation. You will never see the island so calm. The dates of Nyepi vary each year. You can check out the 2017 celebration on March 28. The Bali Spirit Festival, held yearly in March and April, is another reason to visit Bali in the spring. Unlike anything you have ever seen before, the Bali Spirit Festival is a global celebration of world music and well-being. The dry season is the busiest and most popular time to go to Bali. In particular, May through September is the most popular time of year to visit. It is warm, and the humidity level is low all summer. While you will see some crowds, the weather will be nice and there’s plenty to do. The annual Bali Arts Festival is held in June and July, and it’s a must-see for any art lover. The parade is a true sight to behold, and art performances pack the calendar of the Denpasar Arts Center. Another one of the most popular festivals of summer is the Bali Kite Festival. The iconic yearly event celebrates the traditional art of Balinese kite making. And these are no ordinary nylon kites! Ranging from profound to silly, the kites are a representation of the people of Bali. The dates vary every year, and the calendar for 2017 will be out soon. Last but not least, is the most important festival of the year in Bali: Galungan! The entire island comes together every year for ten days to celebrate all the Balinese gods descending to earth. The 2016 celebration will run from September 7 to 17. Shop My Favorite Bali Travel Outfits! Hi, thanks for the detailed information. I hope it is safe for solo female travellers. Thank you for posting this as it has been rather difficult to find info from other bloggers and travel guides as to whether or not this time of the year would be considered the dry or wet season – sounds like dry season according to you. I am planning a trip to Bali in late November 2017, so this info really helps!